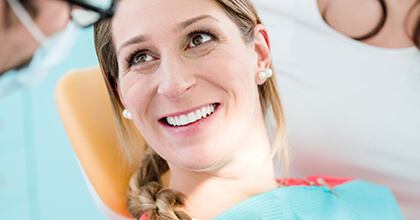 People are busier than ever these days, and if you have a tooth that needs to be repaired, it can be difficult to find the time to visit the dentist. Thankfully, our office now has CEREC (which stands for CEramic REConstruction), and it allows us to design, mill, and place completely custom, all-ceramic restorations in just one visit. With CEREC, even the busiest person can have time for their dental care. Dr. Ross Katkowski will prepare your tooth to fit the restoration. He will then use a highly advanced scanner to create a fully 3D image of your tooth and gums. After it is finished, Dr. Katkowski will place your newly minted restoration into your mouth. Faster: With CEREC, you can get a crown/bridge/veneer in just one hour as opposed to two weeks with the traditional method. 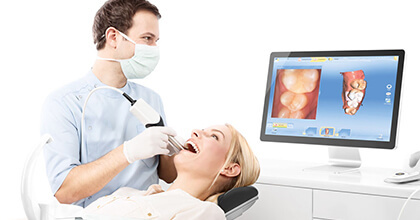 More Comfortable: Thanks to the scanner, you won’t have to get an impression taken with messy, cold dental putty. Higher-Quality: The image taken by the scanner is much more accurate and detailed than typical impressions, meaning your restoration will fit, look, and feel better. Better Restorations: Each restoration created by CEREC will be carved from a single block of dental ceramic. This material is strong, durable, and can perfectly recreate the appearance and feel of a natural tooth. Are You Ready For CEREC? If you have a tooth that needs to be repaired and not a lot of time, then CEREC is perfect for you. Be sure to contact our office today for an appointment. We’re also able to offer CEREC to patients in Plainville, Farmington, Burlington, and Southington.